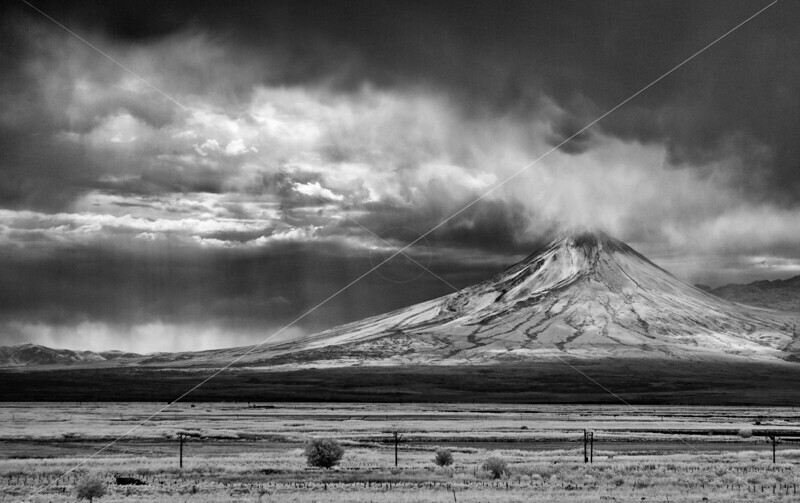 A thunderstorm obscures Mt. Ararat, but its sister mountain, Sis, glows in afternoon light. Photographed September 2011.